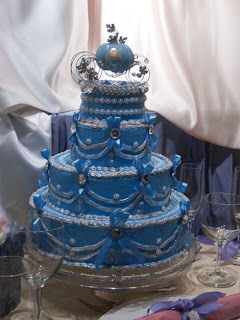 Gorgeous Disney wedding cakes with Cinderella theme! 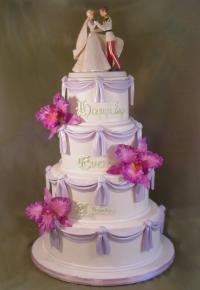 Cinderella and prince charming wedding cake topper on a lovely four tier round purple wedding cake with pink flowers. 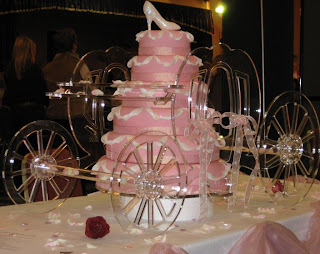 Six tier Cinderella's carriage wedding cake in pink with glass carriage and pink shoe topper. 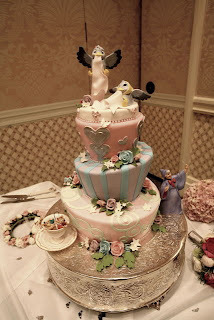 Soft pastel colored three tier Cinderella Wedding Cake with little bird helper cake topper. Gorgeous four tier blue Cinderella Disney wedding cake with elaborate blue and silvery pearl decorations and blue Cinderella carriage cake topper. 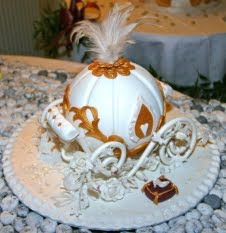 Small and stunning gold and white Cinderella's carriage cake. The Disney Cinderella wedding carriage cake theme in red! how much is the lovely cinderella carriage wedding cake in blue???? 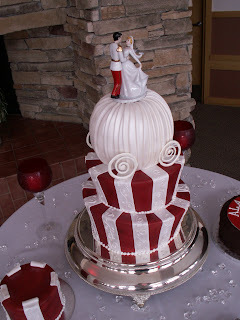 This is a wedding cake inspiration blog, unfortunately we do not sell cakes. Can anyone be able to tell me where you can buy any of the cinderella cake toppers?